This sailing experience is perfect at any time of year. Get your friends or family together for this sailing experience and create memories that will last a lifetime. 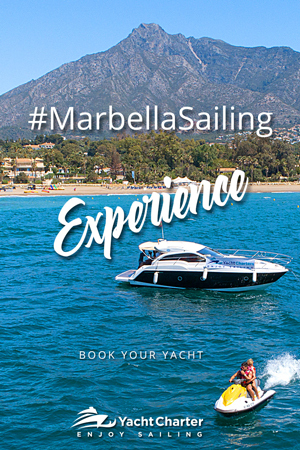 Enjoy a boat trip around the scenic shores of Marbella and choose from a wide variety of watersports activities or opt for live music with a DJ or a saxophonist for a romantic sail, watching the sun set. 4 hours | Mooring Puerto Banús. Visiting Nikki Beach, as far as Marbella Coast till Marbella Port, and coming back to Puerto Banús Port to finish our sailing experience.